It may not have been the Deadliest Catch, but Bishop Edward Burns, the Pittsburgher at the helm of the Diocese of Juneau, Alaska, certainly had an impressive one. 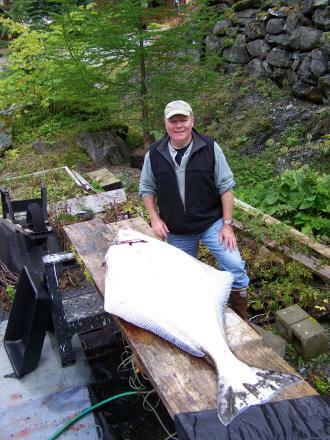 He went fishing with a parishioner from the Knights of Columbus and snagged a 165 pound halibut. “It took a half hour to pull it up. It was exhilarating. I thought for sure I would find Jonah in there,” said Bishop Burns, 53. This entry was posted in Clergy and tagged Alaska, Bishops, fishing. Bookmark the permalink.